PLAY WITH THE RIGHT SIZE EQUIPMENT! 2014 San Francisco Spring Season Dates are now set: April 28th - June 7th (6 week)! Locations, Days, and Times are all listed below! Locations are filling up quickly! Don't hold off to register too long! ANTS Tennis is the "little league" of tennis. We organize neighborhood-based tennis teams that practice during the week and play matches on saturdays. Just like soccer! Four Different Age Groups: Under 6 Red Ball, 8 Red ball, 10/12 Orange Ball. ANTS is focused on your child getting to practice and play. Our philosophy is to have all kids practice & play. Play and Practice on a Team, and still develop your individual skills! Practice During the Week, Match Days on Saturdays. Team must be filled with 8 kids to be part of the ANTS League. Early Bird Team Registration Happening Now - See Below!! Early Bird Individual Registration Happening Now - See Below!! Sing up as an individual to placed on a team, that you choose from below! SIGN UP TO PLAY WITH YOUR FRIENDS! Maximum of 12 children per team. To have a team over 8, children after 8 must register separately for the team. If you plan on attending your child's practices and play games, you can coach! Every team requires one coach and one team parent. ANTS provides you with step by step training! Little tennis experience necessary, mostly just a love of sports and kids! 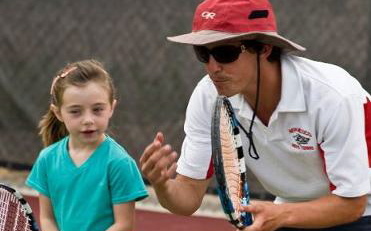 Being an ANTS Tennis coach is a great way to get involved with your child's life and the community! If you coach your child's team, your child plays in the following season for FREE! All coaches must be background checked and FUN certified. Select the team location you would like to coach. If your child is playing, make sure this is their same team. I will coach any team, at any location, I just want to coach! Special Comments? Let us know! Thank you for joining the ANTS Coach Team! 2. Mandatory background check. Information will be sent to you in an email. 3. Mandatory 3 hour Coach Training on April 12th. Location TBD. ANTS Tennis relies on its coaches for providing SAFE, FUN, and HEALTHY environments for children to learn and play tennis! THANK YOU!!! *Please click on the red indicators to see the park name and see below for the times. Thursdays @ Joe DiMaggio: 4-5 p.m. or 5-6 p.m. Limited Spots! Register Now! Spots are limited! Early Registration Ends February 31st! Select Location/Day/Time Joe DiMaggo/Tue/4-5 p.m.James Rolph/Th/5-6 p.m.Panhandle/Th/4-5 p.m.Parkside/Wed/5-6 p.m.Louis Sutter/Fri/5-6 p.m.Joe DiMaggio/Th/4-5 p.m.Joe DiMaggio/Th/5-6 p.m.Joe DiMaggio/Tue/5-6 p.m.
Register & Let's Go Play! Wednesdays @ Parkside: 5-6 p.m. Limited Spots! Thursdays @ Joe DiMaggio: 4-5 p.m. Almost Full! Thursdays @ Joe DiMaggio: 5-6 p.m. Limited Spots! Fridays @ Louis Sutter: 5-6 p.m. Limited Spots! Select Locations/Day/Time Alta Plaza/Tu/4-5 p.m.Joe DiMaggio/Tu/4-5 p.m.Joe DiMaggio/Tu/5-6 p.m.Parkside/Wed/5-6 p.m.James Rolph/Th/5-6 p.m.Joe DiMaggio/Th/4-5 p.m.Joe DiMaggio/Th/5-6 p.m.Panhandle/Th/5-6 p.m.State Street/Fr/5-6 p.m.Louis Sutter/Fr/5-6 p.m.
Wednesday @ Noe Valley: 5-6 p.m. Filling up! Thursdays @ Joe DiMaggio: 5-6 p.m. - Limited Spots! Select Locations/Day/Time Noe Valley/Wed/5-6 p.m.Margaret Hayward/Th/5-6 p.m.State Street/Fri/5-6 p.m.Laurel Hill/Fri/5-6 p.m.Joe DiMaggio/Tu 4-5 or 5-6 p.m.Joe DiMaggio/Th 5-6 p.m.
We also offer After School Programs,Teams, & School League Play.